Car enthusiasts and mechanics have spoken. 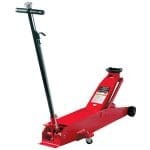 When asked what product or tool in their garage or shop they couldn’t do without, the hydraulic floor jack was by far the most popular choice. 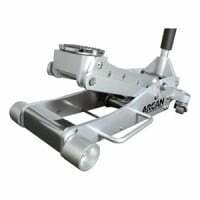 Getting the best floor jack your money can buy should be a priority if you do any type work on cars. We try to make it easy by offering our recommendations on the type of jack you need instead of sifting through endless floor jack reviews. At the same time, we strongly suggest staying clear of those $40 models you may find at Walmart or Autozone. 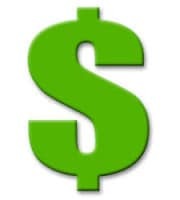 Saving a few bucks is not something worth gambling your safety on. That said, a high-end $800+ model is overkill for most people and you’d simply be wasting your money. 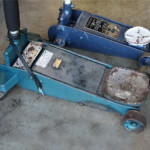 Technically known as a “trolley” jack, a hydraulic floor jack is a workhorse in the automotive world in terms of usage. It’s instantly recognizable by its four wheels attached to the bottom of a trolley. Inside, a hydraulic cylinder does the lifting as the user pumps a long (usually detachable) handle. For every pound of force applied to the handle, an exponentially greater amount of force is applied to the hydraulic system. This in turn moves a piston which raises the lifting arm. 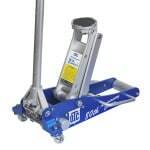 A hydraulic car jack is recommended in almost all situations. This item is probably in the trunk of your car right now. Most auto manufacturers include one with the vehicle. Small and lightweight, it will allow you to change a flat tire when you’re out on the road. They’re not constructed for a high lifting capacity or height but generally work for small tasks but with some effort. 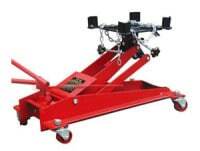 Scissor jacks work by turning a long lead screw which in turn compressor a scissor linkage to gain height. Also known as a piston jack, it’s hydraulically operated using a handle similar to a floor jack. The main difference is that due to their build, they have a much higher minimum lift point so they simply will not fit under many cars today, especially sports cars or anything with low ground clearance. Their main advantage is they have a high lifting capacity making them popular with many truck owners. Some say their small footprint makes them more stable on uneven surfaces but we completely disagree. 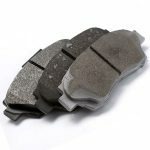 The large footprint provided by the typical jack for a car allows a higher margin of error. 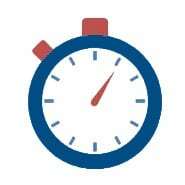 Simply put, a hydraulic floor jack is much faster than a typical scissor jack. 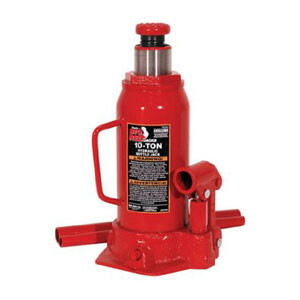 Even the slowest hydraulic jack will take only about 12 pumps to fully raise your vehicle. Some of the top rated models include dual lifting pistons which will take you to the jack’s maximum lift height in only 4-5 pumps. Compare that with having to crank the handle on a scissor jack dozens of times and not even be able to lift your vehicle as high. Because of the large base, solid build, and large gripping surface, floor jacks are the most stable and safest type of jack out there. Both scissor and bottle jacks have a slight tendency to tilt and ultimately collapse if they are use on ground that’s not perfectly level. But no matter how safe the type is, ALWAYS use jack stands when working under a car. Even a hydraulic jack shouldn’t be trusted completely when you have thousands of pounds of weight directly above you. There’s always the possibility of a slight hydraulic leak causing the jack arm to slowly lower or someone accidentally lowering the jack arm. If you’ve never used one before, you’ll be amazed how easy it is to operate a floor jack and the simplicity in how it works. Due to the huge mechanical advantage you get from the hydraulic system and long jack handle, it’s incredibly easy to lift up a corner of any vehicle with only a few easy pumps. To lower, you simply slowly twist the handle which causes the valve system to open and returns the hydraulic fluid back to the reservoir, thus lowering the vehicle. Compare that with the typical scissor jack which requires a good amount of sweat equity and knuckle scraping if you’re not careful. This is probably the first thing you’ll notice when shopping around and also the most important. 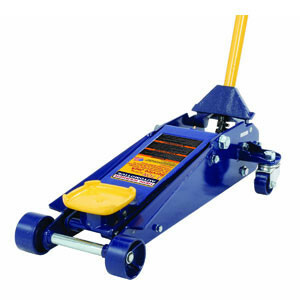 Usually measured in tons, 2-ton and 3-ton floor jacks are by far the most common. You’ll want to make sure the maximum capacity that the floor jack will support exceeds the weight you need to lift. Keep in mind that you’ll never be placing the full weight of your vehicle on the jack since you’ll generally be lifting up only one corner. If you intend to lift somewhere under the engine, that’s where up to 50 or 60% of the vehicle weight is at. 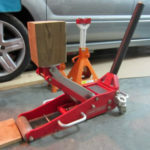 As a rule of thumb, a 2-ton floor jack is typically used for small to medium cars (compacts, sports coupes, economy mid-size) while a 3-ton floor jack is most suitable for mid to full-size cars and most trucks, vans, and SUVs. If you’re not sure which weight capacity you need, we recommend going with a 3-ton model. If you have a particularly heavy vehicle such as a Ford F-350, Cadillac Escalade, or 15 passenger van, you may need to consider a 4 or even 5 ton hydraulic jack. 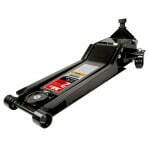 You will find that floor jacks are constructed out of steel, aluminum, or a combination of both. Steel is most common and typically less expensive than an aluminum model. Its biggest disadvantages are that it’s quite a bit heavier (around twice as much), less portable, and not as sleek. An aluminum jack is what all the car guys want because it’s just as strong but much lighter and portable. The downside is that you’ll most often be paying a premium. 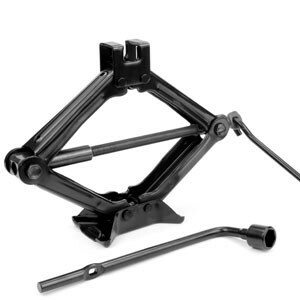 Either choice is fine but if you’re even considering going out to the track or dragstrip, you’ll definitely want to go with the lighter model, optimally an aluminum racing jack. It used to be that all floor jacks came in a standard profile. 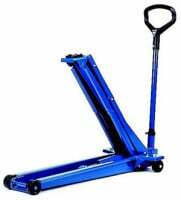 Now, with so many cars having low clearance (whether factory or aftermarket specs), low profile floor jacks are becoming increasingly popular. Some models now require less than 3 inches of ground clearance to operate. Obviously, some vehicles, such as sports cars, lowered vehicles, or race cars, sit much lower to the ground than others. Someone with a Corvette C6 will have much fewer options of floor jack models than the owner of a stock Honda Civic. You need to make sure the model you choose will actually fit under your vehicle. Most good floors have a minimum clearance height between 3-5 inches with low profile jacks on the lower end of that range. This refers to how high off the ground the lifting arm will lift your vehicle at its highest point. 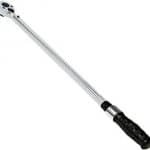 Most of the good quality jacks on this site have a maximum height of between 18-20 inches. 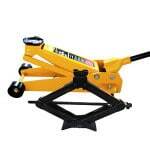 By comparison, a standard scissor jack which comes with most cars, has a maximum life height of around 15 inches. Those 3-5 inches can make a big difference. Lifting speed on a floor jack is measured by how many pumps of the handle it takes to reach the maximum lifting height. No matter which floor jack model reviewed here you choose, you can count on it being faster (and easier) than a screw type jack. Most floor jacks seem to require between 12-18 strokes to achieve full height. Some models advertise some sort of “quick lift system” which typically use dual cylinders to lift to full height in as quickly as 5-6 strokes. Generally speaking, those that require more pumps of the handle require the least amount of effort but the difference is often negligible. The type of floor jack you buy should be based on its main intended usage. Car – Consider a 2 or 3-ton model. A 2-ton floor jack is fine for most compact to mid-size cars. Opt for the 3-ton variety for some mid-size and all full-size cars or if you’re not sure what you need. Truck/SUV – A 2-ton jack should only be used for certain small pickup trucks. 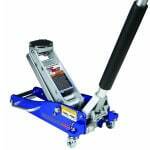 A 3-ton capacity truck jack is appropriate for almost all other pickup trucks and SUVs. A few extra-large vehicles (think Ford Excursion or Toyota Sequoia) may require something a bit more heavy duty such as a 4 or 5-ton model. RV/Travel Trailer/Fifth Wheels – This is where a bottle jack is recommended due to its high lifting capacity. 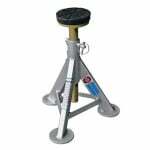 Motorcycle – A hydraulic motorcycle jack offers the best experience in terms of safety and support. We strongly recommend not using a standard floor jack to lift a motorcycle as it will not correctly support a bike. Transmission – Because of the odd shape of a transmission, using a regular floor jack for transmission removal or installation is downright dangerous. Special transmission jacks or transmission jack adaptors are sold specifically for this purpose. 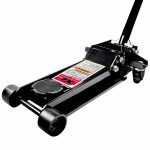 Everyone has a different budget but expect to spend between $150 and $250 for a solid, easy-to-use, and reliable floor jack. 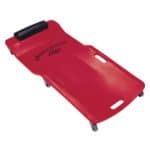 It may be tempting to buy a cheap model from your local auto parts store and it may do this job for a short while, but as customer reviews for these floor jacks note, they have a much higher failure rate and when safety is concerned, it’s simply not worth the risk. Discount floor jacks may sometimes even look the same, but upon close inspection, it’s noticeable that plenty of cost-cutting was done during the manufacturing process. That said, if your budget is low, there are a couple cheap jacks we recommend. On the other side of things, some people swear by automotive jacks that are made in the USA. While American-made jacks have always been known for their high quality, the quality gap between US and China made products is closing quickly with many imported products actually being of superior quality. In addition, many US-based tool companies now import parts from Asia and simply do the final assembly in an American factory. 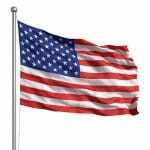 While you may think paying a premium for a “made in the USA” product will get you substantially better quality, that is no longer the case for the most part. Our recommended models are picked to give you the most “bang-for-the-buck”. No matter how heavy-duty of floor jack you have, there is always a chance of part failure. You should NEVER do any work underneath a vehicle unless some type of structural support is present. Doesn’t matter if you’re working under a Mazda Miata or Chevy Silverado, if the lifting device fails, you lose. 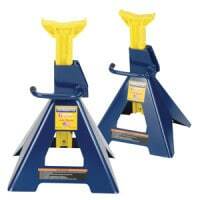 The most common way of providing this support is in the form of a good set of jack stands. Pay particular attention to their maximum weight capacity, stability, and minimum height. Most all name brand stands should last a lifetime. Wheel chocks are simply wedges that you place behind the wheels on the opposite side (front or rear) of where you are lifting. 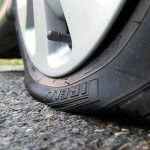 They act as insurance to keep your vehicle from rolling if the other end is lifted. Even some of the best wheel chocks will only set you back about $20 for a pair so there’s no reason not to buy a set. 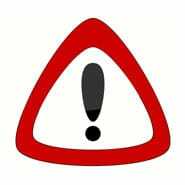 While setting the emergency brake is a good idea when lifting the front, it’s extremely important to use wheel chocks on both sides of the front wheels since most often, the emergency brake is on the rear wheels. Otherwise, the front wheels can roll and not-so-good things will happen. 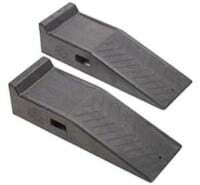 Car ramps can often be used in place of a floor jack when you want to quickly raise one end of the vehicle. The convenience is great but since the wheels are supported by the ramps, you won’t be able to do many common jobs such as changing brake pads, bleeding your brakes, or rotating your tires. Since ramps act as a solid support, there is no need to use jack stands with them but the use of wheel chocks is still very important. Vehicle ramps are a great option for something like an oil change. Be sure to always use wheel chocks along with them. Whether you work on your car or let someone else do it, every car owner should have a good portable air compressor for car tires. As technology and manufacturing processes improve, prices go down. Sure you can spend a dollar at the gas station each time to use their compressor but why be inconvenienced? Even a cheap $20 12V compressor that you plug into your car’s cigarette adapter will pay for itself in a few months. For even more flexibility, get a slightly larger Viair or even a pancake compressor to help with other tasks around the house. Also referred to as a car creeper, this is both a comfort and safety product. If you think that laying on a concrete floor or piece of cardboard is the only way to change your oil or work under your car, you are missing out. Mechanics creepers come in various shapes and sizes but they all have the basic premise of allowing you to lay comfortably on your back on a low profile “sled” and easily move around on a set of wheels that are on the underside of the creeper. While no study is available, we believe this product will greatly reduce “frustration” type injuries such as when in you’re in an uncomfortable position and are hurrying up to untighten that stuck bolt. We’ve all been there. This should be considered a specialized tool that most people won’t need. 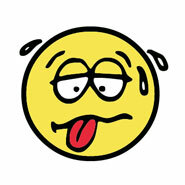 But, if you’ve ever attempted to remove or reinstall a transmission, you know just how much “fun” it is. There’s good reason why professional mechanics charge so much labor for transmission repair. If you’re confident this is something you want to take on, you can save yourself hundreds of dollars by dropping the transmission yourself (even if the pro ends up doing the actual service on the transmission). Using either a transmission jack or a transmission adaptor, which attaches to your current floor jack, this job is made much easier and safer. Well you’ve made it to the end of our buying guide and probably know more about floor jacks than you ever wanted to know. We hope you’ve found it helpful. Go ahead and browse around the site to see some of our recommendations. 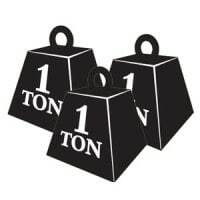 We highly suggest starting with our recommended 2-ton or 3-ton jacks that will be perfect for most individuals. And don’t forget the jack stands and wheel chocks! Feel free to use our Contact page if you have any questions about our product picks and we’ll do our best to answer them.